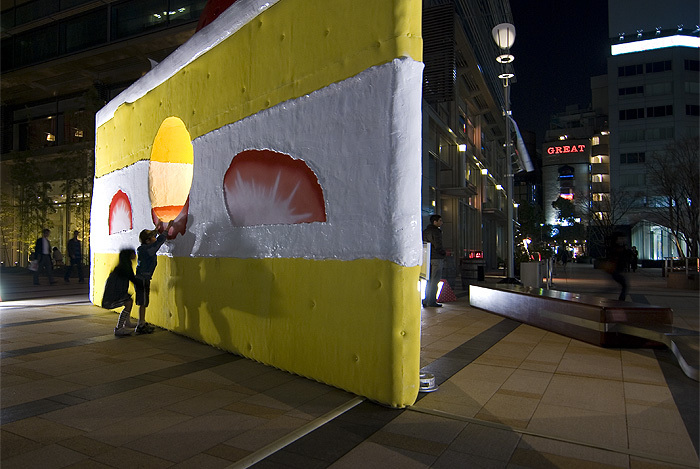 Tokyo Midtown has decided to mark its three year anniversary by giving itself a big piece of cake, I mean really big. 6 meters tall and 7+ meters long to be exact. 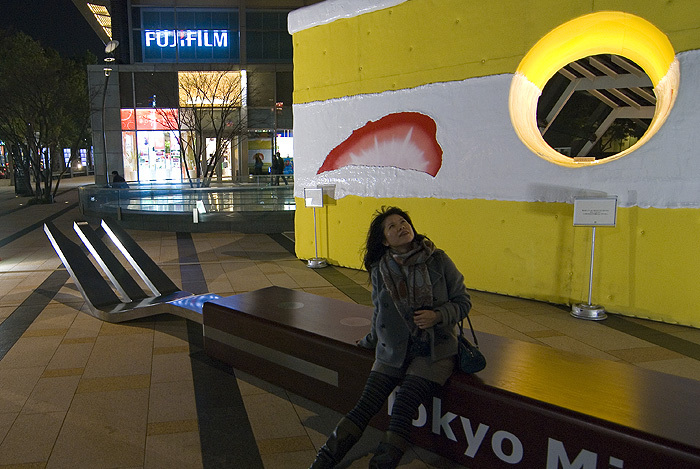 Situated in front of its main entrance, visitors are free to come up and touch the soft, sponge-like material it is made out of, and even climb into it. Seeing how this is Japan, it is of course a whipped-cream filled strawberry shortcake, which seems to be the nation's all time favourite. My feelings on Japanese cakes are well known by now I should hope. However Kumi had no problem with it, and helped herself to a few bites. There's even a large fork provided, although it might be a bit hard for just one person to pick up. Probably better off being used as a bench. The cake will be on display from March 20th to April 4th. See it before it's completely eaten up!